How much will cotton bed sheets & duvet covers shrink? Home / FAQ / How much will your sheets shrink? When new luxury sheets are purchased, customers immediately want to know if their new bed sheets will shrink. The simple answer is yes and that is because they are 100% cotton. How much will those new sheets shrink? They will shrink about 3% to 5% the first few times you wash them. But not to worry. Vero Linens has compensated for that shrinkage so this is not become a problem. Our luxury linens are cut in such a way that they are over-sized to account for that shrinkage. How to prevent additional shrinkage? Stay away from excessive heat. That means you should not use hot water in the washing machine, use high heat or over dry . Exposure to too much heat will also cause premature wear. Vero Linens is ready to help fill your bedroom with fine bed linens, luxury duvet covers, soft down sleeping pillows and much more. Our large selection of elegant linens has something for everyone as luxury awaits your future sleep experience. Watch the below video where we explain how to properly care for your luxury bed sheets. 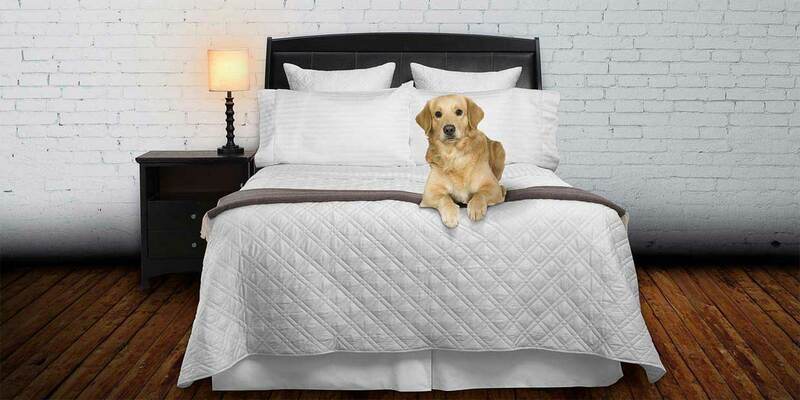 Use code bedding tips at checkout & get 5% off your entire purchase. View our 100+ bedding related articles & videos here.